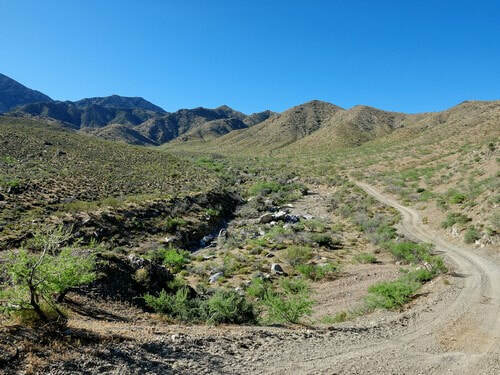 A scenic climb from 1,800' elevation in Scenic, Arizona to 6,400' in the Virgin Mountains. 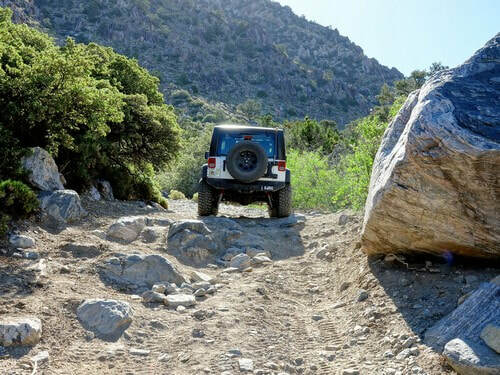 This is not a difficult trail, but it is rocky in many spots. Be sure to air down. We did the trail from bottom to top but it can be done either way. 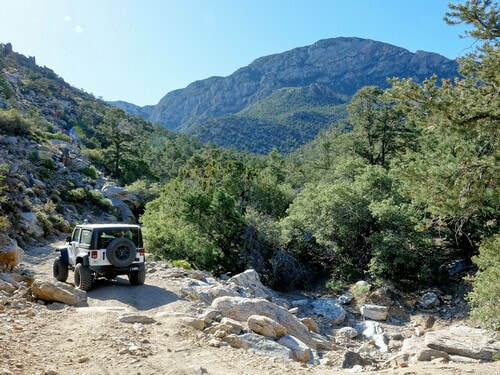 ​Get full details from Bud Sanders Trail Report. 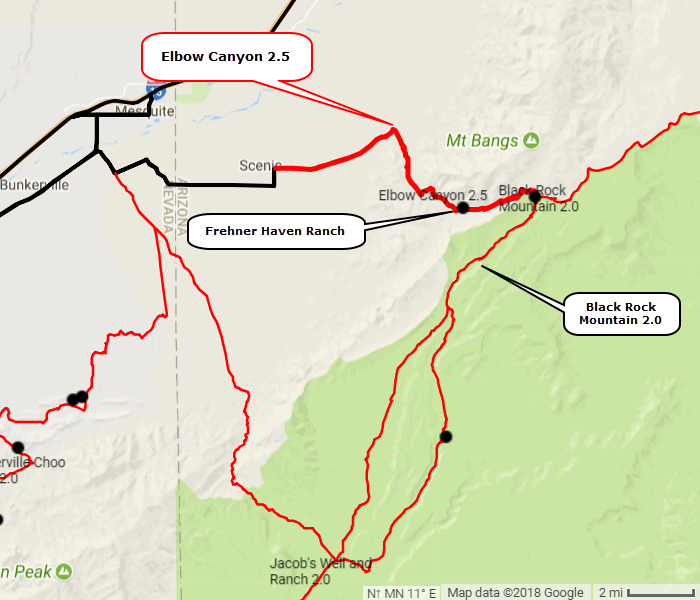 Leave pavement in Scenic and go across open desert for 4 miles to the mouth of Elbow Canyon. 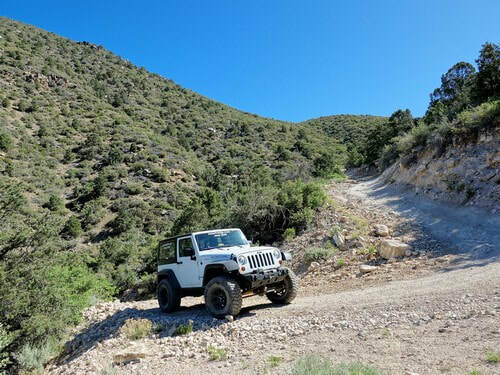 Head into the Virgin Mountains. There are only a few places with any degree of difficulty. It is a weak 2.5, but there are enough rocks that I wanted to discourage lesser vehicles. 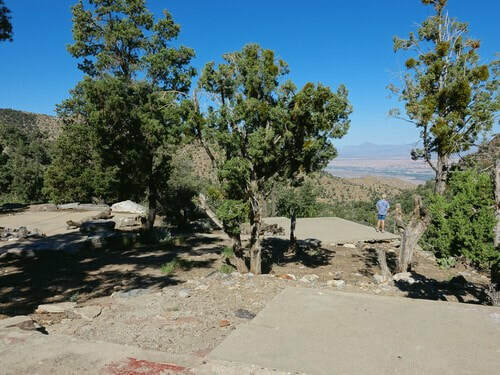 These are the remains of Frehner Haven Ranch, also called Cold Springs Ranch. 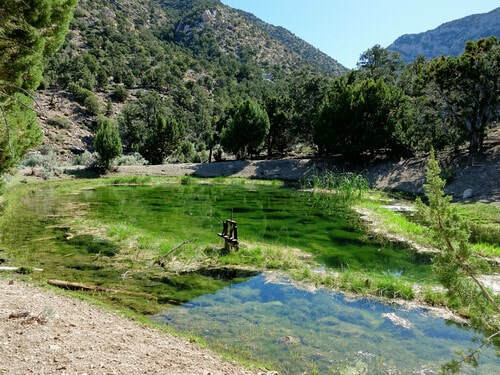 They are next to the pond shown as the opening photo on this page. A beautiful location. Myron Abbot got water rights on this spring in 1913 and Fenton Frehner acquired the rights in 1958. Fenton ranched the area and built cabins and other facilities for his family's use. He also allowed church and community groups to use the area. Fenton died in 2006. 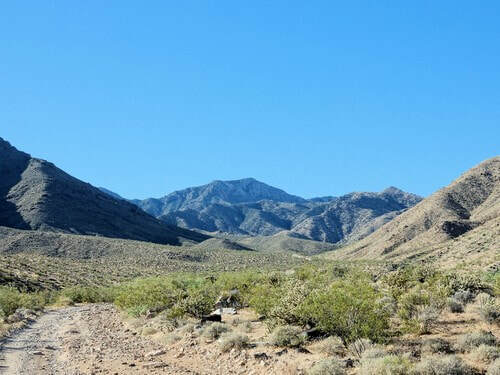 Go over the ridge and connect to Black Rock Mountain 2.0.